The movie Drumline turned 15 years old this year—which, of course, is another signal that you’re getting old as hell. 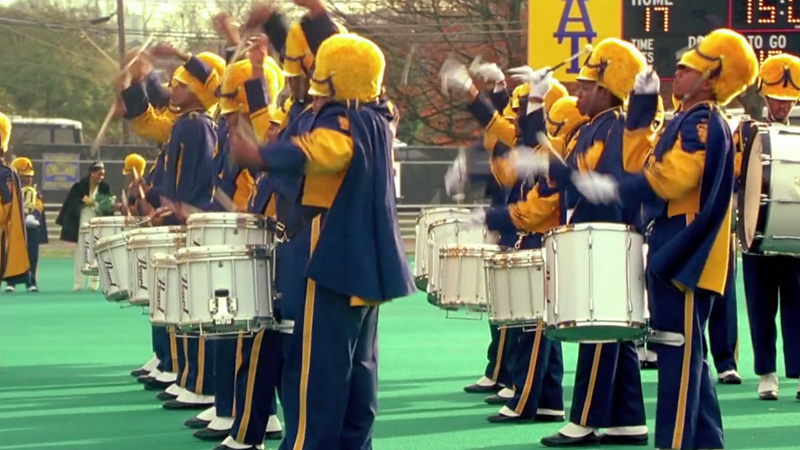 The film, which stars Nick Cannon, became iconic for its portrayal of the band at the fictional HBCU Atlanta A&T. The Undefeated recently did an oral history of the movie that reveals so many unknown facts about the making of the feature film, but one of the most interesting parts of the piece was director Charles Stone III’s revelation that the movie studio insisted on having a white character to make the black movie about a black band at a black college for a black audience. The studio wanted a white character in the midst of this ensemble of color in order to support or give us the amount of money we wanted. We needed $20 million to make it. They were offering us $15 million. ... In order for me to get the additional $5 million, I had to create a white character. Austin, who said that he had to “see how a white kid’s story would be inside of a black marching band without making it ridiculous,” went to Morris Brown College and discovered a white cymbal player who had grown up in Atlanta “down the street” and had always wanted to be in the band. Austin said that’s how they found a way to include the story of a white player in the script. What does this mean? Is it another thing that shows—even in entertainment for and by black people—white people can’t stand being left out? Is this the embodiment of white privilege, that no space in the entertainment industry can exist without a Caucasian voice? Is it an indictment of the entertainment industry’s lack of faith that black moviegoers can carry a project? I just thought it was interesting.